Hold My Breath – We Got This! I consider myself a free association writer. Most days I simply sit down at my computer and write, with no specific topic in mind. My inspiration seems to come from what I’m feeling at that exact moment in time. Today’s post, inspired by exhaustion, validates this writing style for me. I started off by endlessly harping on how fuddruckin’ tired I am. Then, I somehow found myself on the topic of prayer and free will. Some call me a “deep thinker” but the truth is that I’m easily distracted and go off on tangents. Every morning this week I sat down to write a post. No matter how hard I tried, I just couldn’t seem to get going. All I seem to think about is sleep. So, today I’ll just write about it. I’m sure there were times when I was this tired, but I really can not remember being so for such an extended period. I know the cause. More accurately, I know the sequence of events that has gotten me to where I am. Some might remember what I associate this with… the slow drain. It all started in early March when I knew something just wasn’t right with Ryan. I worried constantly for a week. I worried even though the doctor told me Ryan seemed just fine. Thank goodness I trusted my instincts and had blood work ordered. The results of the blood work didn’t help my worrying. It simply changed the direction of it. Instead of thinking Ryan was “off”, I had clinical evidence (i.e., blood labs) to prove it. Even before he became symptomatic we had him admitted into the hospital to begin figuring out the source. Two days later he was whisked off to surgery to remove an infected kidney stone that had started to cut off his urine flow. Then the next two days in ICU. If there is one place in a hospital that is not conducive to rest, that is it. The rest of the month of March was a regular routine of IV antibiotics and follow-up surgeries. It was exhausting and I was clearly feeling the effects… even then. I was limping along just hoping for a break. Turns out, it just kept getting worse. I pulled an overnight shift, going some 40-plus hours without a wink of sleep. I wasn’t even limping along any longer… I was crawling. Then, within a matter of days, I had to do another 40 hours all over again. That one was the final straw, as they say. The point when the water overflows the sink. Ah, the life of a 24/7 caregiver! The one thing that I hold on to… the one thing that keeps me going… is Ryan. I would do anything for him or my daughter, Kari. ANYTHING! I just hate that it might be killing me. How unfair is it — not just to me, but — to him and my family that I am forced with deciding when to harm myself. Well, I decided a long time ago to give everything I have for as long as I can instead of preserving myself for what might come in the future. I slam the gas pedal to the floor and refuse to let up. I know the consequences, but that’s not to say I like them. It’s the reality of the situation. Oh, how I wish I could take the time to look after myself as so many have advised. Again, that’s not how this tragedy works. Some have told me that I must “put on my oxygen mask first, before tending to others” and I get that. The problem is, people assume there is an adequate supply of oxygen masks. In my metaphorical world, only one drops. I don’t even need a second to decide who will receive the benefit from it. I’m sure all you parents understand my way of thinking here. Even when I use it, it’s just long enough to pull in as much air as I can. Then I hold my breath. I do so for as long as I can because taking another is denying it to Ryan. It’s only when I’m on the verge of passing out that I begin to think of another. Let me also say this. I find nothing noble or exceptional about how I am. I’m not fishing for kudos (but I certainly appreciate it). Hell, if I were I could share some stories with you that I wonder if you’d even believe! Again, parents, please back me up on this one. Please tell that this is how it is when you love another so deeply that you don’t blink when there is a tradeoff between the two. Yep, it’s not anything special in the way that I think (and act). You — meaning readers of this website, specifically — are no different, I expect, and would behave the same. What is “special” is that I must. I must live this life of totally unwanted self-sacrifice when I’d rather feel the bliss of excess. What I wouldn’t give for someone to ask me, “What do you want, Ken?” Would I answer that I want it all? I suppose it would depend on the context of the question. In some things, yes, because I love ecstasy and complete gratification as much as the next guy. But when it comes to most areas I simply wouldn’t. I know this because I never wanted it all. In fact, I asked for very little. When I were a praying man I would ask for one thing that I considered personal. I prayed to God that He would keep my family from harm. Not me, mind you, them. It was their protection that mattered the most. Let’s face it, I no longer believe in the power of prayer. 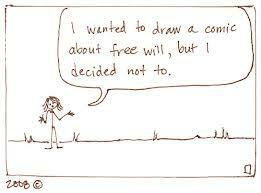 Besides, even if I did, it seems “Free Will” trumps it. 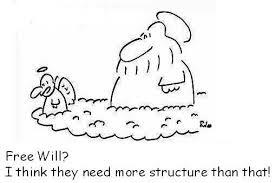 So, I suppose free will reigns supreme when it comes to the cosmic hierarchy. Anything, and everything, is easily explained away with that clause. It’s the kicker. I’m only speaking from my personal experience here, and I make claim that I’m correct. I suppose the only thing I ask of you is to think about how these might not reconcile. But, all that aside, what’s worse — at least in my mind — is it is through no fault of my own… through no fault of Ryan’s… only through those who are completely and eternally responsible… because of Austin Vantrease and Jonathan May (both of Newark, Delaware). These low-life, violent thugs (in my opinion) left me without a choice in living and thoroughly enjoying my life. They, and they alone, are why I am so tired. Their free will circumvented my prayers. I will write more in a few minutes; right now I am filling the bird feeders. See that? It’s about responsibility… …and love. And, Ken, God is love, and we inherited it from Him. Loving and caring for Ryan is your ministry. We are your helpers. You are doing it right! Most of us would do it in much the same way as you. We sure have–our parents, our kids, our grandchildren, our great… …no wait–we may not be here for the “greats!” We can only hope (there’s that word again)! We have done as you are doing now, my friend, although not in the same circumstances, but still we gave up our freedom to see that it was done right. It is our responsibility. We have pulled many an all-nighter–in hospitals, nursing homes, our own home and even out of town many miles away–because it was, and is, the right thing. You are absolutely right, Ken — nobody does it better! And we don’t blink an eye to take it on. SHSP, NGA and I would pull an all-nighter for Ryan if only it were possible! I do believe in prayer and will continue to pray for you and family. Faith, hope, love, and the greatest of these is love. God is love and that’s a fact! Ken….you are beyond words. You get your strength from Ryan, you keep going for him, gathering up whatever energy from your deep love of your beautiful son. I thank God Ryan has the family he does, it makes all the difference in the world, and you have never, ever failed to rise up to whatever challenges and setbacks come your way. I always believe that for ALL you do, for dedicating your ENTIRE being for the care of Ryan, you will be rewarded with something wonderful and I pray that comes in the form of Ryans recovery. Hang in there, our friend and please, please try to get some rest. Thinking of you & Ryan always! Wishing I knew what to say…………………………I don’t. Hi Ken, first, I am sad that you are in this (extra) exhausted state. Obviously you know that all of us worry about you (a lot!!). As you pointed out, as Ryan’s Dad, you will continue to willingly make every sacrifice necessary to help him. You’re right, too, that most parents recognize this kind of sacrifice — though I’m not sure how many could actually do what you’re doing. As my sister pointed out to me the other day, “not everyone has Ken’s physical strength and level of intellect, not to mention his ability to learn and implement so many kinds of medical therapies.” Well, that’s true. I know for sure I would do my very best, but it would never reach the level you’ve achieved with Ryan because I just don’t have your abilities. The mental and emotional toll on you is just as bad as the physical. When Ryan got sick with the kidney stone infection, I imagined you and Sue as almost having flashbacks to all the scary times you had to face in the hospital with Ryan — going all the way back to the very beginning. Then came the extra stress of having to monitor Ryan even more vigilantly than usual –( another thing most parents understand). In these situations no matter how many offers of help you might get, you know you won’t be able to move from his side. You personally have to be there — which you are all the time anyway, but I mean literally right by his side. And though you wouldn’t make any other choice, still, it is doubly, no quadrupley exhausting. The crime inflicted upon Ryan was and is shocking. It is breathtaking in its brutality. The physical, mental, emotional and financial Impact it has had on your entire family really is incalculable. The extent of the damage to your lives — on every level — is immeasurable. It would be hard to capture it all — even if one had a recorder and went through your house and documented your day to day lives, it would still not adequately convey the depth and breadth of suffering Ryan and your entire family have endured. I also think a good many people simply could not comprehend the extent of how this crime has torn through the fabric of your family’s lives, leaving it in tatters. Shame on VanTrease and his fellow cretins for not having the character or integrity to reach out the way any decent person would and attempt to help. Not a good path at all for them to follow because that kind of behavior tends to backfire on a person. I appreciate that you are willing to openly dialogue about “controversial” subjects such as free will and prayer. In a better time, it would be interesting to sit around a table with you and some other folks and talk about it. I don’t see you as being a close minded type of person, nor someone who can’t or won’t tolerate differing views of opinion. I respect your feelings and appreciate why you feel as you do. I hope you won’t hold it against me that I pray for you, Ryan, Sue and Kari every day, and that I always will. Nor think less of me because I am just crazy enough to still believe in miracles — and still believe God is with us in this darkest of dark nightmares. I know all about free will — the fallout from the wickedness roaming around the planet is enormous – and downright frightening. The good news is, when it’s my time to go, I ain’t hanging around this planet, I am going straight into the arms of God. In the meantime, one of the reasons I crave spending time with Ryan is because of his loving, kind spirit. Ryan has something about him that soothes my soul. I can’t speak for anyone else but I’m pretty sure I’m not alone on this. He is a gift, just as valuable and precious as he always was. God I wish this had never happened. But God, thank you for letting me get to know Ryan and his family. wow. i really respect you and your choices. I am praying for you Ken! Ryan and the rest of your family are in my prays also. Still praying for Ryan’s healing and for the family to stay strong for Ryan. God Bless you and all the family. There are no words that will tell how sorry I am that Ryan was hurt by vicious people. You all are amazing caregivers to your son. Thoughts and prayers daily!! Ken, I am so sorry for what this tragedy has done to Ryan and the difficulty it’s put on you and your family’s lives. I do believe in God and He is the reason that draws me to this site. I like to check in on how Ryan and his family are doing. In spite of the limited time that you have, I appreciate the posts you write. They are very detailed and come from the heart. I pray everyday for God to continue to help Ryan and provide you and your family strength. I also hope someday, that you accept God back into your life, because I think He can help support you each day. God Bless you and your family. So well spoken! What an amazing and loving family. Always in my thoughts and prayers! I believe with all my heart that God is with you and your family every moment of this journey caused by others’ evil acts of free will. I would be by my child’s side doing all I could possibly could to help him heal and recover at the expense of my own health and “happiness” also, but I would not feel guilty about trying to rest whenever possible either. There’s no way I could function at the pace you maintain! You have our permission to skip blogging some days in exchange for a cat nap with Ryan. We’ll still be here for you, praying and believing that God has a good plan for your family yet, and that He’ll continue to provide the strength and resources you need to get through each day and night. I know how discouraging it can be to have your deepest prayer request denied, but I also know that God never abandons us. He just patiently waits for us to turn back to Him for comfort, guidance and eternal hope. He loves you and Ryan, Sue and Kari more than you can fathom, Ken. I pray that you will allow yourself to accept that love again soon. I know that it makes all the difference for me. God promises that after periods of “exile’ in our lives, if we call upon Him in prayer and seek Him with all our heart, “I will be found by you and bring you back from captivity, back to the place from which I carried you into exile. For I know the plans I have for you, plans to prosper you and not to harm you, plans to give you a hope and a future.” I cling to that hope for my own family every day as I pray for yours as well. Love you Divineys! As a parent, I understand what you’re saying and why you do what you do. My children always have and always will come first – there is no deeper love. And I totally get what you say about free will and prayer. It’s not easy to contribute to your eloquence, Ken. So instead, I’ll just share what I most empathize with and where I can maybe offer you one small kindness. Sometimes, it’s okay to focus on yourself. It doesn’t have to be often, but there is something to be said about taking the time for yourself. Rejuvenate. I bet the farm Ryan would understand… no, encourage you. I hope, every so often, you will get asked the question, “What do you want, Ken?” In turn, I hope you’ll indulge yourself; even if nothing more than to take a sip of a favorite drink, close your eyes, and dream about the ecstasy you love. Be kind to you. You deserve it. As usual, your words have special meaning for me. The hope is that all parents would follow your example. The kudos that you receive speak of the sad reality that some choose (free choice) not to. I understand your sadness and frustration, as you well know. I, too, prayed many times for the safety of my children. I would gladly have offered my own life in exchange for my son’s safety. God answers all prayers, Ken… but sometimes the answer is “no”. Free choice is indeed paramount. If it were not for that, we would not be individuals, nor could we be held accountable for our actions. God made these rules for us, so that we could choose to act properly, or not. I believe that our life here on earth is a test, and exercising our free will determines whether we pass or fail. Those thugs who viciously attacked Ryan chose poorly… as did the young man who killed my son. None of us deserved the fate that befell us. Now it is up to us to choose how we will behave. You have obviously chosen wisely. I believe that God has given you the strength to be the outstanding father that you are. You and Ryan are always in my prayers, and God will bless you through those who love you and show you His grace. Don’t mind my auto correct … I should have read before posting …to all of us of unconditional …. Always thinking of you. Hopefully Austin Vantrease, Jon May and their friends who watched their attack on Ryan never get a good night sleep….their actions should haunt them every time they close their eyes. It is late and I am hoping you are able to at the very least steal a quick cat-nap. I would love to think that all parents would do what you are doing, for their own children. Unfortunately, society has shown us that some don’t have the strength or where with all to protect their own children, the way you do Ryan. You daily show what parents SHOULD do everyday. I know your faith has wavered greatly since the attack on beautiful Ryan. I understand that. I told you several years ago that I and the rest of the “girls” of Sue’s Crew would hold your faith and hope until you were ready to take it back. It is still gently cradled in our hands and hearts. I believe you will go back to a man of prayer. God has convinced me of this.